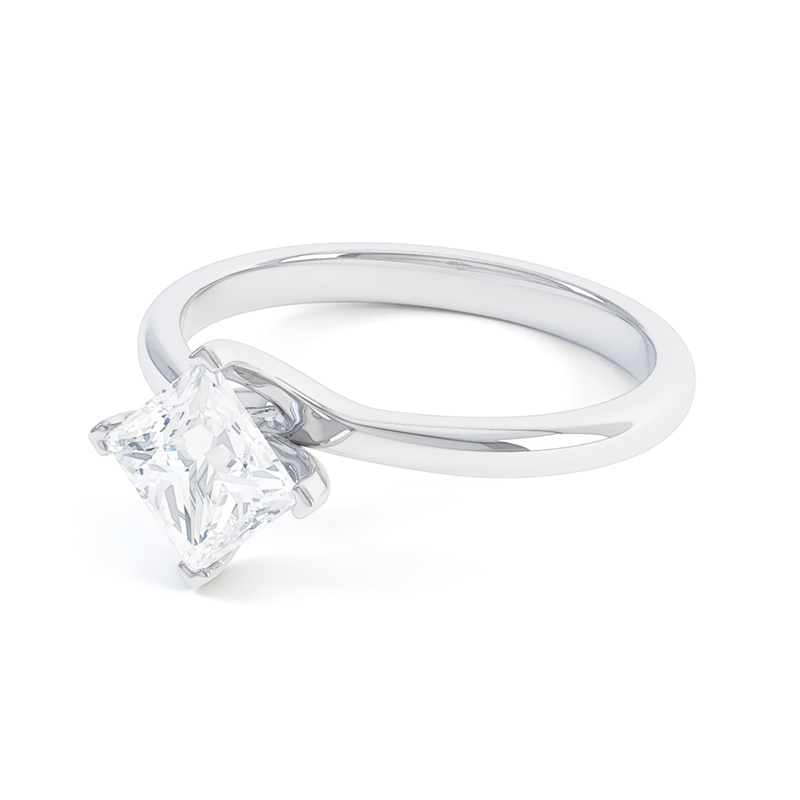 The Hayes solitaire, a ring of eternal modernity. With a slim, tapered band, the Hayes engagement ring oozes femininity and delicacy, celebrating the popular Princess Cut diamond. 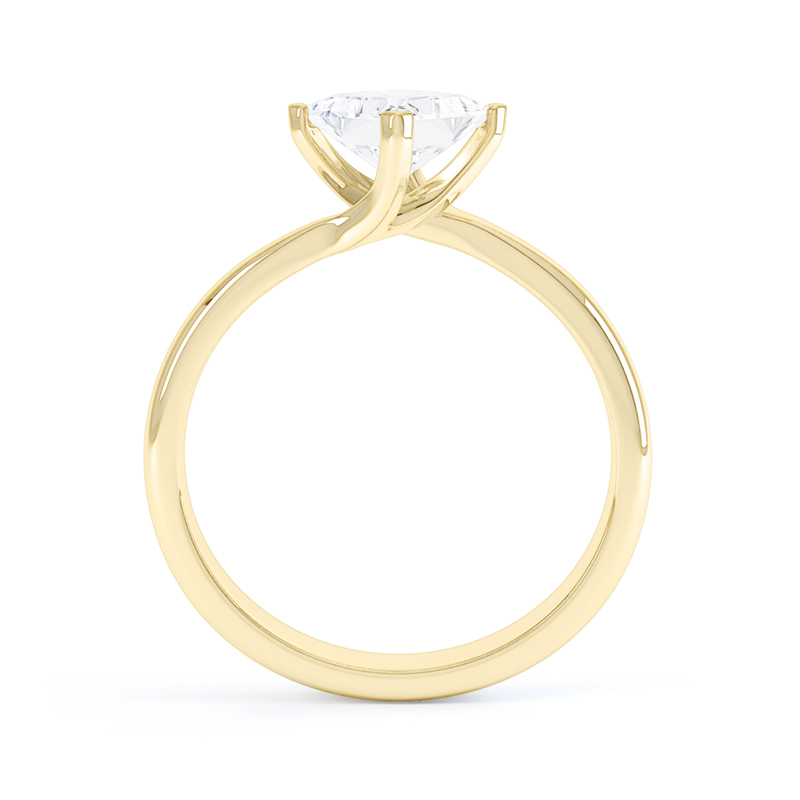 The twisting claws securely lift the diamond as if it were floating within the mount. With centre diamonds available from 0.30ct, the Hayes solitaire engagement ring is available in Platinum, 18ct Yellow Gold, 18ct Rose Gold & 18ct White Gold. All Queensmith engagement rings are expertly handcrafted onsite, using only the finest GIA certified diamonds. Every ring is made-to-order in our Hatton Garden workshop and can be tailored to your preference.